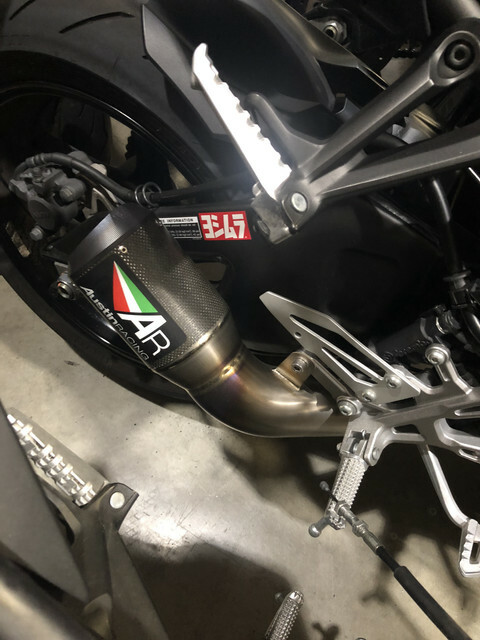 Can anyone help with ID'ing what model AR exhaust this is? damn that has to be the best sounding for the MT. But, so loud and I think I have tinnitus already!!! Too raspy for my tastes, but almost anything sounds good on our bikes . I really like how it sounds with just the Graves slip-on. Very deep and sophisticated. And the icing on the cake for me is it looks OEM without the logo, and no fuel smell. I picked this up for a real good price. Not too much more than the Graves slip-on. The Graves slip-on was going to be my choice but the AR exhausts price was too good to pass up. Hey brother, I'm replying only because you started the thread; otherwise I'd be accused of hijacking it. He he. Anyway, will record it next time I use the bike, but doubt my stupid iPhone 6S+ will do it any justice. I paid $441.75 shipped from Revzilla, by the way. A bargain compared to others, since it's titanium and C/F, it has a very sturdy and OEM-looking bracket (rather than an ugly band), and no freaking springs to secure it (hate that myself). It has the best s/s clamp you can buy. It was still pricey IMO, but others like Yoshi charging even more makes no sense to me. How much is that shorty AR you want? At any rate, I was surprised how louder my Graves is than stock, even though both are straight-thru. But what gave the engine a ton more characted IMO was how deep it sounds. And the loudness is pretty much my limit, to be honest, so perfect in that regard too. Will post a sound clip after I shoot it. 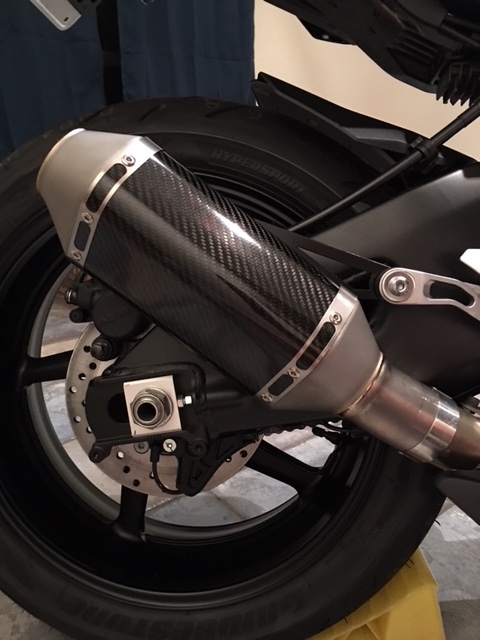 Need to use the bike to make sure the radiator cover doesn't touch the finned area when hot. Take care. Here you go buddy. The video does it no justice. It sounds way louder and deeper than the video reflects, but at least it gives you something to go by. Hope this helps.